Life has been challenging for many of the girls and young women participating in BC’s randomized controlled trial that is evaluating the Nurse-Family Partnership (NFP) program for the first time in Canada. The first data report on participants’ profiles when they entered the trial in early pregnancy has just been released. This report reveals a group of 739 girls and young women who were pregnant and preparing to parent for the first time and selected based on socioeconomic disadvantage. They were age 24 or younger and experiencing low income, low education and/or being single. The data show that some 83% of these girls and young women were earning less than $20,000 annually, while 53% of them had not completed high school. Most were also single. As well, almost half had experienced homelessness in their lifetime and a third had recently experienced housing insecurity (having to move more than three times within the past year). Most participants — some 74% — also reported having coped with serious long-term mental and physical health conditions. Nearly half reported coping with severe anxiety or depression and 22% reported they had diagnosed mental disorders. More than half reported having experienced moderate-to-severe child maltreatment when they were younger. Half also report experiencing intimate partner violence more recently. While 77% had recently visited primary healthcare providers for physical health concerns, only 28% had received prenatal classes. Perhaps most surprising, only 29% had recently received important BC benefits for people living on low income such as Income and Disability Assistance. Overall, 89% of these girls and young women were experiencing three or more forms of disadvantage, with 77% experiencing four or more and 56% experiencing five or more. “Our data show there are unacceptable pockets of deep socioeconomic disadvantage for BC girls and young women who are preparing to parent for the first time,” said lead principal investigator Charlotte Waddell. “This finding has important policy implications,” she added. Through the BC trial, we may discover similar benefits for young mothers and their children here. Trial recruitment began in October 2013 and closed in December 2016. The study team is now following the 739 families, who are participating in research interviews until children reach their second birthday (the duration of the NFP program). Study results will be available later in 2020. Participating regional Health Authorities are also offering NFP to all eligible girls and young women and their children as an enhanced public health service. Trial results will help strengthen the program across BC. Based in the Faculty of Health Sciences at SFU, the trial is funded by the BC Ministry of Health with support from the BC Ministry of Children and Family Development and from four Health Authorities (Fraser Health, Interior Health, Island Health and Vancouver Coastal Health). Funding is also being provided by the Mowafaghian and R. and J. Stern Family Foundations. Charlotte Waddell and Harriet MacMillan are the Nominated Co-Principal Investigators. Nicole Catherine is the Scientific Director and Co-Principal Investigator. Susan Jack and Debbie Sheehan are also Co-Principal Investigators. A larger Scientific Team provides guidance, including from collaborators at McMaster University, UBC, the University of Victoria and the Public Health Agency of Canada. Anyone in BC who wishes to be referred to the Nurse-Family Partnership program should contact their primary care practitioner or their local Health Authority. For more information about Nurse-Family Partnership, see here. The BC Healthy Connections Project Study Team can be reached by email at: bchcp@nullsfu.ca. Consider this an unusually weighty birth announcement. All the babies have now been born to the young mothers enrolled in the BC Healthy Connections Project (BCHCP). There are 744 young ones, including 11 sets of twins. The BCHCP is the first Canadian scientific evaluation of the Nurse-Family Partnership (NFP) program. NFP aims to help young first-time mothers and their children by providing intensive visits by specially-trained public health nurses. The goals are to improve children’s health and development, while also improving the mothers’ lives. The success of the program has been widely documented in the US, most recently in a study released July 24/17 by James Heckman, a Nobel laureate economist at the University of Chicago. By ages six and 12, children whose mothers received the home visits were healthier and had better cognitive and social and emotional skills, he found. And mothers had better mental health and parenting skills, he added. A US National Public Radio interview with Heckman spells out why he believes NFP has been so successful in the US. The BC evaluation is using randomized controlled trial methods to investigate how NFP compares with the province’s existing health and social services. Preliminary profiles of the participants will be released later in 2017 with main study results to follow after all the families have graduated in late 2020. An outline of the project may be seen here, along with a journal article on the study protocol. There are also two adjunctive studies associated with the BCHCP. The first is a Process Evaluation, determining how well the intervention is being implemented and what factors may be influencing its outcomes. The second is the Healthy Foundations Study, examining biological markers of health outcomes for children over the first two years of life. BC leads the country by being the first province to now offer Nurse-Family Partnership to all eligible women who are interested. Five regional Health Authorities — Fraser, Interior, Island, Northern Health and Vancouver Coastal Health — have opened the program with no need for randomization to control and intervention groups. Recruitment into the randomized controlled trial known as the BC Healthy Connections Project (BCHCP) closed on Dec. 16. This recruitment — which started three years ago, in October 2013 — stood at 739 families at time of closure, a sample size large enough to estimate the effects of the Nurse-Family Partnership (NFP) program in BC. Some 100 of these families have already completed the research study. With NFP, public health nurses visit young women who are pregnant and preparing to parent for the first time. Aimed at mothers whose circumstances place them at risk for vulnerability, the program provides them with home visits and intensive supports until their child’s second birthday. NFP starts very early in life — prenatally — allowing it to influence child development right from the start. “We’re very proud to be reaching this study milestone,” says Scientific Director, Nicole Catherine. Her feeling is echoed by another study lead, Charlotte Waddell, who emphasizes the teamwork involved. “This has been an enormous team effort — involving the Ministries of Health and Children and Family Development, and nurses and communities and Health Authorities across this province,” she says. The CHPC study team is following each of the 739 families until they all finish a series of interviews. The team has conducted more than 2,500 research interviews with families to date. More than 600 babies have already been born to participating families, including eight sets of twins. The CHPC study team is collecting and analyzing a wide array of child and maternal health information with a special focus on issues relating to child development, as well as mothers’ wellbeing. Young mothers say they enjoy being part of the project because they feel that their voices are being heard — often for the first time. Following the closure of recruitment, research data collection and participant tracking will continue until all the children in the study reach two years of age. The team is also obtaining consent to remain in contact with all the families — to lay the foundation for longer-term child follow up over the preschool years and beyond. Beyond evaluating how NFP works in BC, the BC Healthy Connections Project will also provide new information on young mothers who are coping with disadvantages such as living on low income, or struggling to find secure housing. This is a population that has often been underserved. So as a first step to help, the CHPC study team is aiming to provide initial reports by mid-2017. These reports will provide descriptive characteristics on study participants, including information on social determinants of health, as well as service access and use during pregnancy. The results on how well NFP works will follow once data collection closes. According to BC’s longstanding intentions, regional Health Authorities will begin offering NFP to all eligible women — as a program embedded within other public health services — starting Dec. 17. The regional Health Authorities, together with the BC Ministry of Heath, are responsible for all aspects of planning and implementing the ongoing delivery of NFP as a provincial program from here. Meanwhile, the BC Healthy Connections Project research team will continue collecting and analyzing data. When all 739 families have completed the study, in just over two-and-a-half-years from now, information on NFP’s effectiveness will be used to further improve BC’s child and maternal public health programs. More information on the BC Healthy Connections Project is available here. More information on NFP open enrollment, is available here. When Roger Parsonage watched a Kamloops Nurse-Family Partnership (NFP) graduation event for young mothers and their toddlers back in May, he was struck by what the ceremony represented. Mothers and their children stood at the centre of the room. Nurses stood close by. And, in a semicircle at the back, stood everyone else from Interior Health. 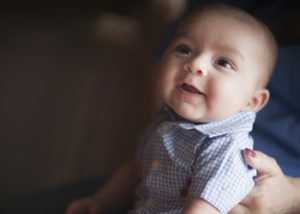 Parsonage is new to child and maternal health, but he’s already a big believer in the NFP program. This landmark intensive home visiting program, which has been operating in the US for almost 40 years, sees public health nurses visiting young women who are pregnant and preparing to parent for the first time. Public health nurses provide the women with home visits and supports until the child’s second birthday. Although the program is still undergoing its first Canadian scientific evaluation — via a randomized controlled trial, or RCT, through the BC Healthy Connections Project — Parsonage is already making plans for what to do when recruitment for the evaluation closes in December. But for Interior Health, the geographic distances involved remain an enormous challenge. “You really have to drive it to appreciate it, and realize just how far apart these communities are,” Parsonage says. “You go through huge pockets of ‘nothing’ but stunning beauty.” For the nurses, this means lots of driving time. And in turn, this means they have less time to spend with families. Making matters more challenging, socioeconomic status tends to be lower in rural and remote areas so the need for NFP is even higher. The solution? Parsonage is investigating the possibility of using telehealth technology, meaning that some — but not all — of the visits would be via mobile video conferences. Replacing even a portion of the in-person visits with telehealth would make the system more efficient by reducing driving time for nurses. “We’re consulting with the Ministry about whether we can provide the service in this way without compromising fidelity,” he says. “If we can do that, it will allow us to extend the reach.” BC will consult with NFP’s founder, David Olds, regarding similar work occurring in the US. So far, 700 families have enrolled in the RCT through the BC Healthy Connections Project – with 350 receiving NFP plus existing services, and 350 receiving existing services alone. Sixty families have now completed the study. An additional 300 families have received NFP through the “guiding client” pilot, which involved nurses honing their NFP skills before starting the trial. And a further 150 families are receiving NFP through a Process Evaluation that is running in parallel with the RCT. The BC Healthy Connections Project is investigating how NFP works in BC – following study participants through into 2019. Meanwhile Health Authorities are beginning to deliver NFP to all qualified families, outside of the study, starting in December. Practitioners or young pregnant women can click here for more information.